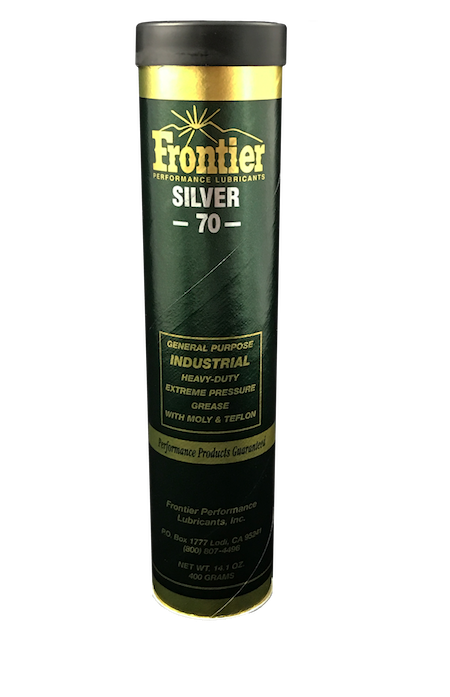 Increase your productivity and profitability with the use of frontier performance lubricants. All Gear 85w/140 is an all season gear lubricant specially formulated from high viscosity index, hydro-processed, group II base oils, Frontier Lubricant’s exclusive MTX moly friction reducer additive package and the most advanced thermally stable additive system on the market today. ALL GEAR No. 204 is an all-purpose gear lubricant specially formulated from high viscosity index, hydroprocessed, group II base oils, Frontier Lubricant’s exclusive MTX moly friction reducer additive package and the most advanced thermally stable additive system on the market today. ALL-SYN is a premium quality CI-4/SL engine oil designed for all-weather operation of passenger cars and trucks. ALL-SYN is a blend of the highest quality PAO synthetic base stocks and selected additives. ALLSYN TRANS 50 EQ is a fully synthetic manual transmission lubricant for year-round use in off-and-on highway equipment. Con-Ag Grease is a versatile bearing grease fortified with synthetic polymers, rust and corrosion inhibitors, extreme pressure agents, and oxidation inhibitors. It is designed for heavily loaded plain and moderate speed anti-friction bearings operating under generally adverse conditions. The lithium complex thickener provides a tacky, long life, cohesive grease that has a 550 F+ drop point. 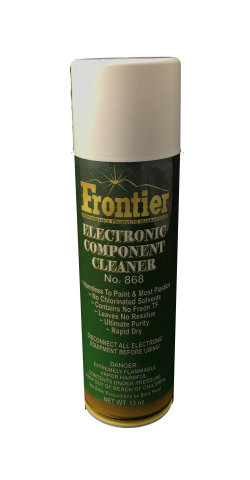 Electronic Component Cleaner is a special solvent recently developed for use in white rooms for cleaning of sophisticated instruments, controls and computers. Electronic Component Cleaner is an extremely high-purity solvent cleaner for cleaning critical metallic and non-metallic surfaces. Removes grease, oil and dirt from sensitive electrical components without attacking plastics or wire insulations. Enviro-Safe Safety Solvent is a highly effective heavy-duty industrial solvent designed to remove heavy oil and grease deposits, tar and asphalt. IMG is a heavy duty multipurpose EP (extreme pressure) grease designed for automatic grease dispensing systems where long lubricant dispensing lines are common. IMG is designed for low or high speed plain and rolling element bearings and sliding mechanisms operating under generally difficult conditions such as found in steel mills, assembly plants, and paper corrugating plants. L.E. Plus Engine Oil is a premium blend of synthetic fluids and hydro-treated base oils formulated specifically to optimize performance in all diesel engines running on Ultra Low Sulfur Diesel Fuel. Pen-Safe Penetrant is a multi-purpose, anti-rust, anti-corrosion penetrant, lubricant, moisture remover and cleaner. Pen-Safe Penetrant is formulated to penetrate into the threads of rusty bolts even when they are countersunk. It is a handy and quick way of maintaining satisfactory operation and/or even correcting faulty behavior on a variety of machines and mechanisms. 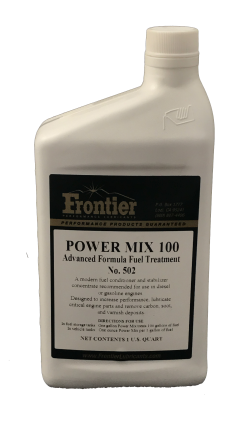 Power Mix 100 is a modern fuel conditioner and stabilizer concentrate. recommended for use in diesel fuel or gasoline engines to increase performance, reduce downtime, clean and lubricate critical engine parts, neutralize the harmful effects of sulfuric acid, remove carbon, gum, sludge, soot and varnish from valves, cylinders, pistons, fuel injectors, carburetors and all interior surfaces of an internal combustion engine. Power Mix 1000 ULSD is a multi-functional diesel fuel treatment designed to clean and maintain the cleanliness of fuel systems, increase engine efficiency and replace the natural lubricity removed from fuel during the hydro cracking process used to make Ultra Low Sulfur Diesel (ULSD). The continual use of this product will reduce the overall operating cost of diesel engines by providing a fuel that will minimize injector wear, injector fouling and tip erosion allowing engines to operate at peak performance and maintain optimum fuel efficiency. Power Mix ULSD Series are multi-functional diesel fuel conditioners designed to reduce fuel consumption in diesel engines. Power Mix 500 ULSD is a multi-functional diesel fuel treatment designed to clean and maintain the cleanliness of fuel systems, increase engine efficiency and replace the natural lubricity removed from fuel during the hydro cracking process used to make Ultra Low Sulfur Diesel (ULSD). The continual use of this product will reduce the overall operating cost of diesel engines by providing a fuel that will minimize injector wear, injector fouling and tip erosion allowing engines to operate at peak performance and maintain optimum fuel efficiency. 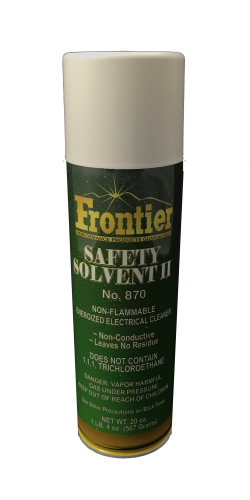 Safety Solvent II is a non-flammable heavy-duty solvent degreaser designed to remove oil and grease deposits. Use for general purpose cleaning or for final hand degreasing of finished parts. This product has a slower evaporation rate than most aerosol solvents, this allows for a more thorough cleaning of heavily soiled surfaces. Super Penetrant is a heavy duty multi-purpose, anti-rust, anti-corrosion penetrant, lubricant, moisture remover and Super Penetrant is a specially formulated penetrant/lubricant designed to loosen corroded parts and leave a protective lubricating film. It quickly displaces moisture and carries Teflon ® and Vydax ® to the point of contact where they bond to the surface areas providing wear protection. SYN TORQUE Synthetic ATF is a high performance, automatic transmission fluid that meets and exceeds Allison TES 295 specifications. The fluid is designed to meet the demanding requirements of modern heavy duty automatic transmissions. The synthetic base oil composition enables excellent performance even in the severest of operating conditions. Thermal Guard is a premier all season gear lubricant which contains a superior performance blend of high viscosity index hydro processed group II base oil, the highest quality synthetic base oil and Frontier Lubricant’s exclusive MTX moly friction reducer additive package. Truck and Tractor is specially formulated to provide maximum, long lasting protection to bearings, bushings, sliding surfaces and other areas exposed to severe conditions of pounding, moisture contamination, or heavy loads. Truck & Tractor is a non-melt grease formulated with High Viscosity Index hydroprocessed group II base oil and compounded with specialized additives. The ultimate in multi-grade engine oil performance, V.I. PLUS 15W40. This 14 TBN, super universal oil, compounded with Frontier’s exclusive extender additive package ETX, is superior to all other engine oils on the market for either gasoline or diesel engines. This exclusive formulation exceeds API SJ/CH-4/PC-6 performance requirements as well as all major engine manufacturers’ specifications. The ultimate in engine oil performance: V I PLUS. This 14 TBN, Mack EO-K2 super universal oil, compounded with Frontier’s exclusive extender additive package ETX, is superior to all other engine oils on the market for either gasoline or diesel engines. This exclusive formulation exceeds API SH/CF-2 performance requirements as well as all major engine manufacturers’ specifications. V.I. Plus 10W30 is a premium quality SL/SJ engine oil designed for all-weather operation of passenger cars and light duty trucks. V.I. Plus 10W30 is a blend of the highest quality base oils and selected additives. The ultimate in NG engine oil performance: V I PLUS NG. This superior quality, low ash lubricant is blended from high viscosity index hydro-processed group II base oils, an exclusive anti-oxidation/anti-nitration package and Frontiers exclusive extender additive package “ETX”. V I Plus NG is specifically designed for 4-cycle and select 2-cycle stationary engines which use natural or synthetic gas. It meets the performance requirements of API CD and the catalyst compatibility requirements of Englehard. V.I. Plus is a highly fortified extreme pressure oil supplement, which contains a shear-stable viscosity index improver to improve the film strength of virtually all mineral oil fluid lubricants. V.I. Plus 5W-20 is a premium quality SM/GF-4 engine oil designed to be more fuel efficient and less environmentally damaging. It is designed for all-weather use in passenger cars; SUV’s and light duty trucks operating on gasoline. Wash-N-Shine is a new generation biodegradable, heavy-duty vehicle cleaner designed for industrial, automotive and commercial applications. Our custom lubricants are formulated from the finest base stocks available, coupled with the most advanced additive technology on the market today.